Under current HOS rules, drivers can be on the road no more than 11 hours in a 14-hour period. If they stop to avoid rush hour or are stuck in a port waiting for a container, the clock on this 14-hour period keeps going. Drivers want more flexibility and the ability to stop the clock on the 14-hour period if they take a break. This has become even more of an issue for drivers since the use of electronic logging devices (ELD) became mandatory. "No one is looking for more drive time," Brian Brase, a heavy hauler out of Pennsylvania who helped plan a protest of HOS rules, told Supply Chain Dive earlier this year. "They just want some flexibility in it." An early study on the effect of the ELD mandate showed it increased HOS compliance. The share of inspections that resulted in HOS violations fell from 6% before the mandate to 3.8% during a light enforcement period and finally to 2.5% during a strict enforcement period. The DOT published an Advanced NPRM last August to get input on HOS and "received more than 5,200 comments, which have been carefully noted and considered," Chao said. This Advanced NPRM continues to receive comments. "HOS needs more flexibility to allow for bad weather, delays at shippers and receivers, and traffic situations (wrecks, delays, construction, etc. )," a commenter named Sean Wright posted yesterday. Many of the comments focus on a rule that requires drivers to take a 30-minute break after eight hours of driving. Peter Dombrowski, in a comment posted yesterday, suggested ending the 30-minute break requirement, saying drivers already take these breaks throughout the day. Still, others are happy with the way things are: "Please keep the hos as is! Elogs are keeping companies from working drivers 18 hours a day," Robert Parker posted in February. The details of the NPRM won't be known until its posted on the Federal Register. There is no set timeline for when this might happen or how long OMB will spend reviewing it. 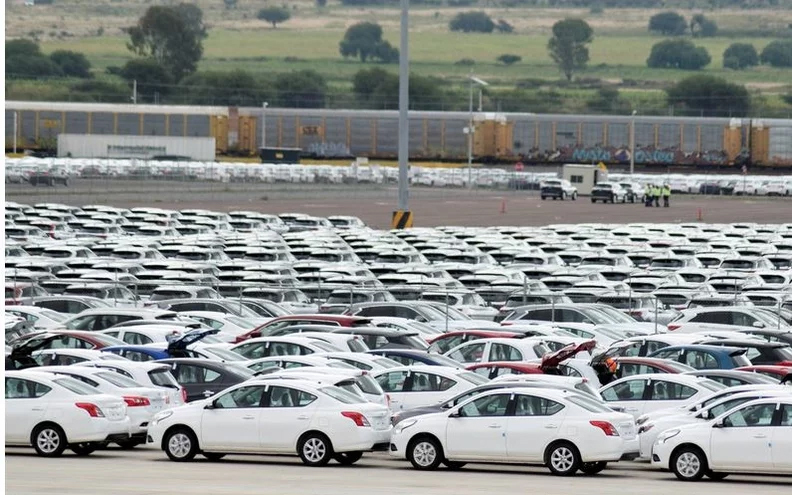 NUEVO LAREDO, Mexico - U.S. President Donald Trump hasn't followed through on his threat to shut the border with Mexico, but one crossing here that connects this Mexican city with Laredo, Texas provided a glimpse of the chaos and economic disruptions that it would likely ensue. Lines of 18-wheeled semi-trucks carrying auto parts, produce and other goods for U.S. consumers and businesses stretched more than six miles into Mexico Wednesday after the Trump administration shifted Customs and Border Protection agents from Laredo and other Texas border crossings to El Paso and the Rio Grande Valley to deal with the flood of asylum seekers from Central America. Waits to cross the World Trade Bridge, which normally run 30 minutes, reached more than three hours. The impact of the delays was being felt on both sides of the Rio Grande, with those who depend on U.S.-Mexico trade barely able to consider what would happen if the Trump closed the border. 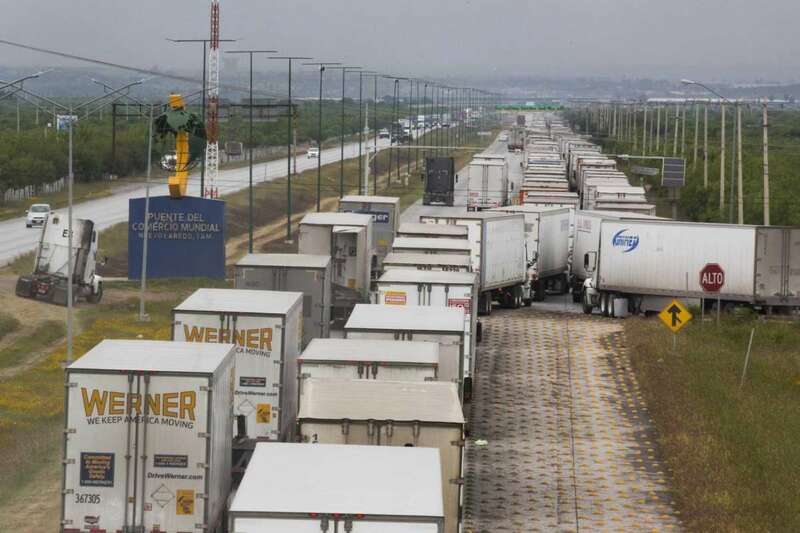 Ernesto Gaytan, president of the Laredo company Super Transport International, which has 200 trucks on the American side of the border and 300 more on the Mexican side, said he couldn't put a number on it, but knew the delays were costing him money. A complete border shutdown, he estimated, would cost his company $200,000 a day. On the other side of the border, Roberto Hernandez was idling at the back of the line with hundreds of 18-wheelers ahead of him. Hernandez doesn't get paid by the hour, but rather by the number of loads he delivers. Usually, he makes four cross-border runs a day, earning the equivalent of about $15 per load. But he was only able to make two trips on Tuesday and his is daily pay fell to $30 from $60. Henry Avocado Corporation, a California-based avocado company, recalled shipments early this week that it had sent out to six states in the U.S., after fears of its avocados being contaminated with bacteria that could cause major health risks. The bacterium under the scanner is Listeria monocytogenes, a microorganism that can cause severe infections in children, those who are immunity-deficient and older people, which could sometimes end up being a fatal affliction. The company in its statement mentioned that it voluntarily recalled the avocado shipments sold in bulk in retail stores, as a routine government inspection in its California packing facility tested positive for the bacteria. The company has exerted caution in removing the crates off shelves, even though there have been no reported cases of illness caused by consuming avocados from this specific batch. 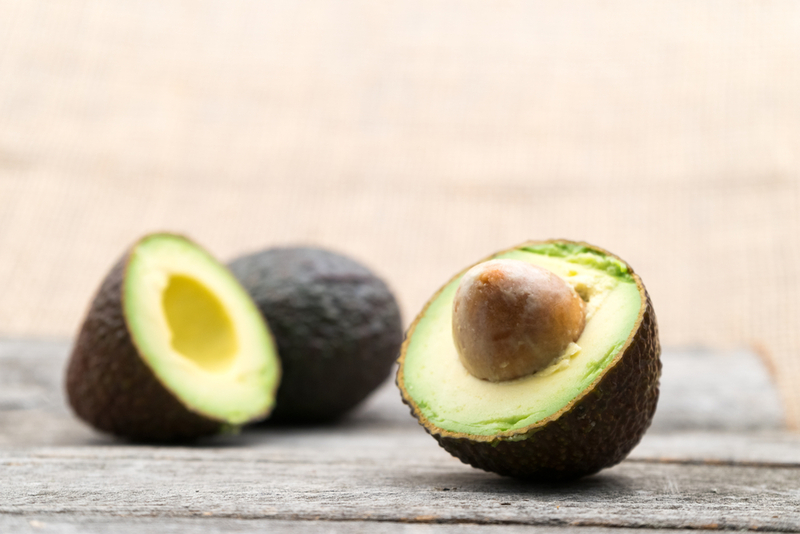 Henry Avocado has recalled its California-grown conventional and organic avocados that were packed in California, from the states of Arizona, California, Florida, New Hampshire, North Carolina and Wisconsin. However, avocados that were imported from Mexico and distributed by the company are not affected and continue to be sold at retail outlets. In a similar incident last week, Arkansas-based Tyson Foods had recalled 69,000 pounds of chicken strips after a couple of consumers reported that they found metal pieces in the product. Though this was an isolated incident, the company had to recall all the items that were produced in a single plant in Rogers, Arkansas, that included 65,313 pounds of Tyson's fully cooked chicken strips and crispy chicken strips that were sold in 25-ounce bags. The company also recalled 3,780 pounds of fully cooked chicken breast strips that were sold in 20-pound boxes. Though Henry Avocado and Tyson Foods deal with two distinct food products and had completely different reasons for recalling their produce, the extent of the recall cannot be ignored. Discarding hundreds of pounds worth of consumables for a few pounds of contaminated items is highly inefficient and if done frequently, could end up affecting a company's bottom line. Our new website provides a clear message of who we are, what we stand for and where our value lies when providing efficient logistics, freight, and custom broker solutions. The website also boasts a clean design and intuitive and consistent site-wide navigation system with improved menu functionality that directs you to the information most relevant to you. It is also fully responsive with mobile devices, making it easy to navigate on a wide range of web browsers and portable devices. Amongst the new features the site contains are integrated social media buttons for Facebook, Twitter and Linkedin, and online chat to foster improved communication with our clients and future customers. Our new blog provides a easy sign-up for periodic updates and access to articles that matter to you through smart topic filters. We will be constantly updating our content with helpful information, articles, news, newsletters, company announcements and client successes in the Blogs section. With a track record stretching over three decades of reliable performance, we've established ourselves as the transparent, honest, experienced customs broker and logistics solutions provider for a wide range of businesses and industries in Mexico and the U.S. From web-based tracking and reporting systems to our bonded warehousing and ISO-9001-2015 certification, we hold ourselves accountable to our clients – and to a high standard of quality.